Big Fish Casino is a great mix of casino games from Big Fish Games. This is a fun way to spend some time trying to win big without going to Las Vegas! 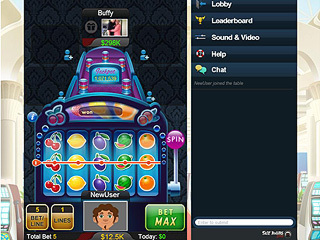 You can invite your friends and do a casino marathon and play live with them! There's a lot in here for those who enjoy this kind of games either in real life or on their PC or other devices. Texas Hold'em Poker, Slots, Blackjack, and more other game to entertain you. The games are colorful and quick and full of different power ups and rewards like free tockens every now and then. Some of the things are only available for money. This might be a problem for some, I would think. Those who don't mind to pay to keep playing definitely should try this game alone, with their friends or strangers, who might become new friends!